"Dr. Sims helped me recover from hip surgery to win a World Championship bronze medal. Her personalized approach to training, recovery and nutrition can unlock an athlete's potential to achieve next level goals. Now all active women have access to the same groundbreaking information that made a significant impact on my career." 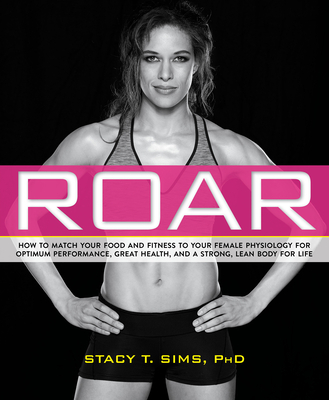 "Exercise physiologist and nutrition scientist Sims presents women with an enlightening guide to fueling and strengthening themselves for peak fitness. As a former athlete, Sims knows firsthand the dangers of following regimens designer for men; her maxim is 'women are not small men.' In part one, Sims covers the basics of female physiology in easily comprehended terms, exploring topics such as body mass distribution and a woman's capacity for cardio and endurance. She demystifies each phase of the menstrual cycle so that women can leverage the phase they're in to their advantage; this section also includes a chapter on menopause. Part two focuses on how a woman builds weight, core strength, gut health, and strong bones, complete with how-to exercises and sample plans. Part three covers daily and sport-specific fueling, hydration, recovery and handling extreme conditions. This book is a must for female athletes (July)."